It’s midday and men are emptying out of CRP’s meeting room, some head straight for the tea and cookies, but most stick around, joking and and talking amongst themselves in different dialects of Arabic. Naseer poses for a picture after Men’s Group. Click here to support community at CRP. In the U.S. we tend to lump groups of people together. When looking towards the Middle East one thing always comes to mind—sectarian strife. Sectarian tensions have always played a role in Iraq, but things have deteriorated since the U.S.-led invasion, and the incessant conflict that followed. There are, however, also pockets of hope. Not everything is sunshine and butterflies in Jordan (though for the most part, Jordanians are extremely welcoming), but here at least, in CRP’s community center. Things like religion, political ideologies, and nationalities are left at the door. And a community is being built by those without one. Thamer, a Muslim Syrian beneficiary, watched his country implode before fleeing to Jordan. He lost a brother to the fighting and hasn’t heard from another brother in six years. “In the beginning of the civil war, both sides were our compatriots. Later on, things changed, new names, and new parties to the conflict stepped in,” he says. Thamer has become a pivotal member of Men’s Group. Some staff were not able to attend over the summer. So, instead of letting it dissolve, he and another member took the lead and ran it in their absence. Thamer is also a trainer for our Mind, Body, Medicine program, where he helps other beneficiaries deal with their experiences independently, by being aware of their own self-health. Amman is home to hundreds of thousands of refugees, many with different backgrounds. But all share one thing in common, they’ve all lost their homes. It’s those shared connections and problems that beneficiaries can connect with at Men’s Group, and other programs like it. “I’ve gone through a lot and I know how it feels when you’re coming in and have nothing. I like to help with anything that I can provide, any assistance,” Thamer says. 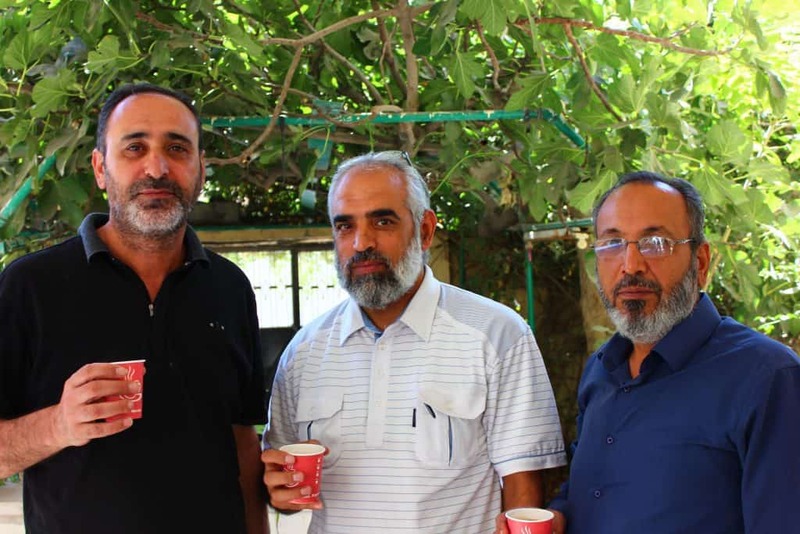 Thamer, (far left) enjoys tea with other members of Men’s Group. You can support Thamer, Naseer, and the rest of Men’s Group with your donation. Click here to donate. 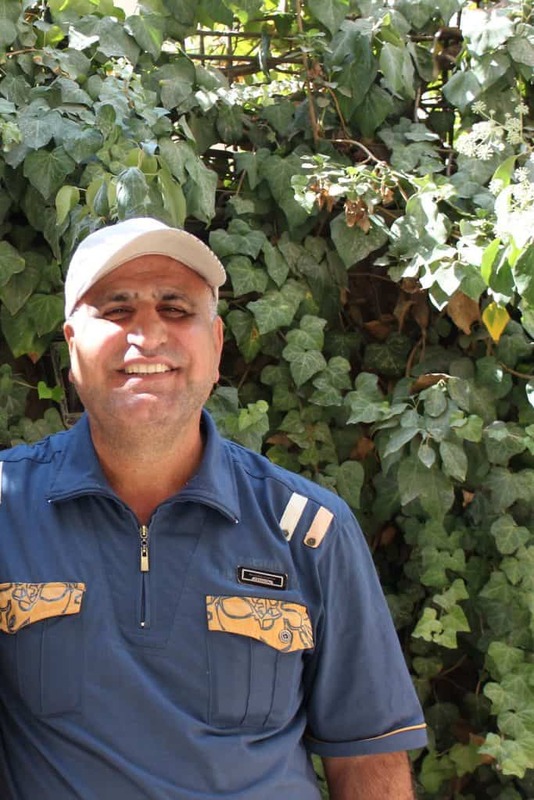 Despite being refugees, both men are grateful for their children’s safety and the community they’ve become a part of. As well as the opportunities their children now have to make friends with people from different backgrounds. One of Naseer’s daughters has even begun volunteering for our new Super Girls program, which is designed to teach and empower young girls. And Thamer says he is focused on helping others in similar situations as well as educating his own kids. We rely on donors like you to create the spaces at CRP that cross religious and nationality lines. Donate now to help build community and friendships like Naseer and Thamer’s.